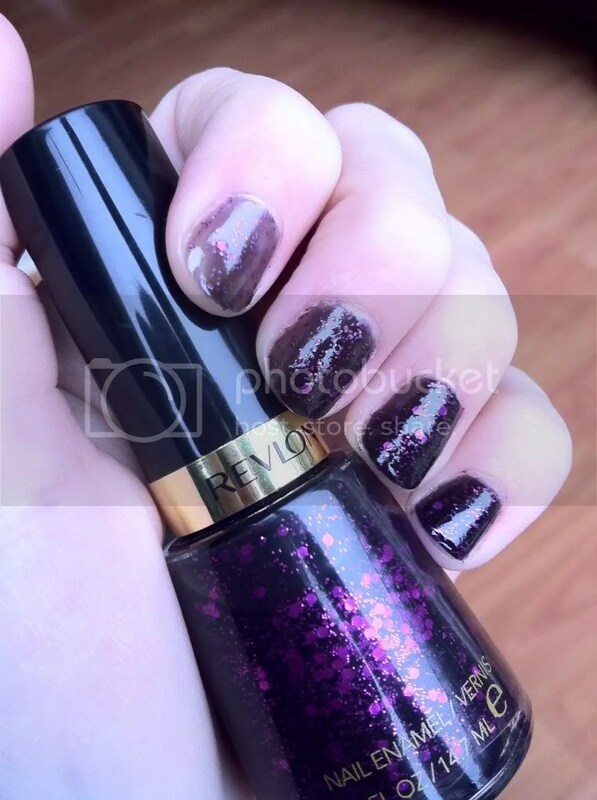 I first saw this Revlon polish a few months ago, and managed to resist buying it, then whenever boots had an offer on, it was never in stock! I finally managed to pick it up last week with £2 off, for £4.49. ‘Girly’ to me is anything pink and glittery, so Girly is definitely the perfect name for this polish! 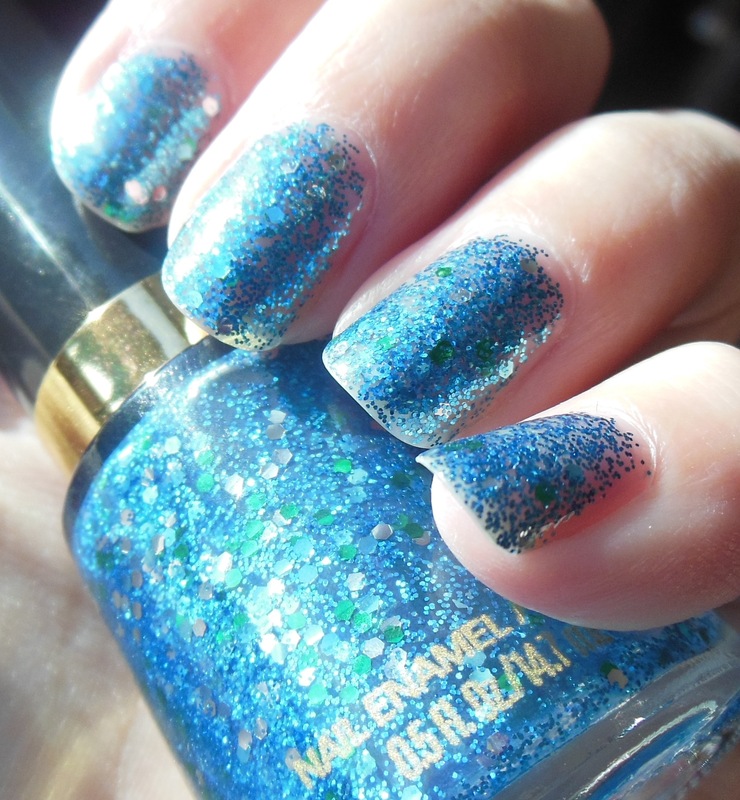 It’s very similar to Nails Inc’s Topping Lane, but with a larger mixture of glitter, and it’s how I expected Barry M’s Sequin Effects to be. Girly is a sheer light pink base, packed with a mixture of pink, purple, blue and holo hex glitter. My pictures show three coats, with top coat. Revlon Radiant came out earlier this year as part of Revlon’s 80th Anniversary line. I’ve had it for a couple of months but only just got round to trying it. Radiant is made up of a lot a small cyan hex glitter, with some larger cyan, silver and green glitter. 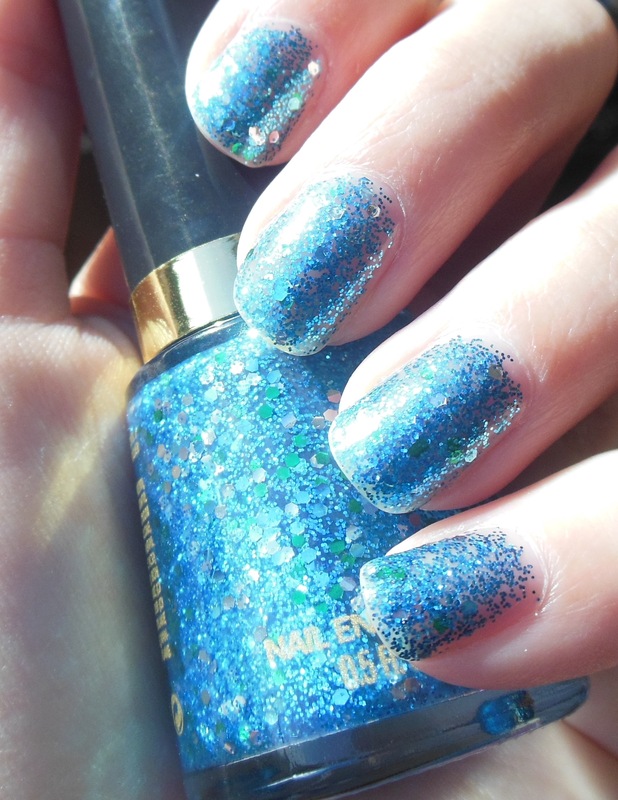 Except for the larger blue and green glitter this would be the perfect dupe for OPI’s Gone Gonzo! but it’s close enough for me! 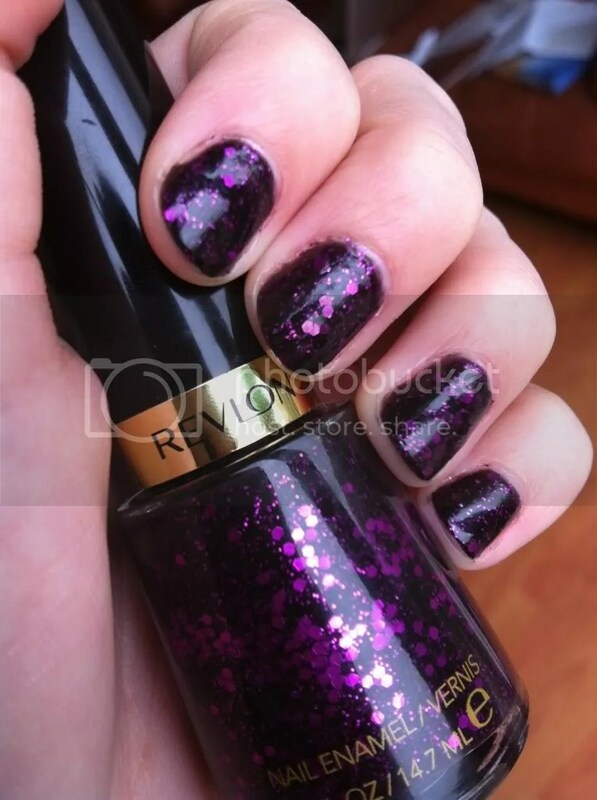 Radiant would also make a great top coat glitter. The pictures show 4 coats. It applied nice and evenly, and dried quickly. As with most glitters it had that gritty finish, which is solved with top coat. I picked up Revlon’s Facets of Fuchsia as part of Boots’ 2 for £10 offer, mainly because I had a gift card burning a hole in my purse, and what better to spend it on than more nail polish?! I’m struggling to decide whether I like this polish or not, but I’m not sure why I don’t like it! 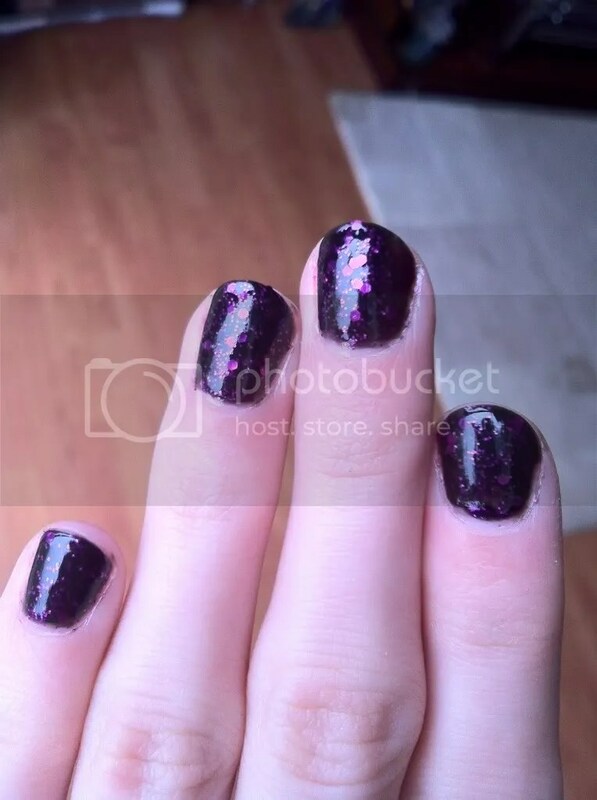 I don’t know if its too dark, or not glittery enough compared to how it looks in the bottle, I just can’t put my finger on it. This is just to show how the polish builds up. It starts very light with one coat, as shown on my index finger, two on my middle finger, three on my ring finger and four on my little finger. I decided to go for four coats as I wanted to try and get a bit more glitter on. So as I can’t decide how much I like this polish, I’ll leave it at that, and I should have decided by my next post! 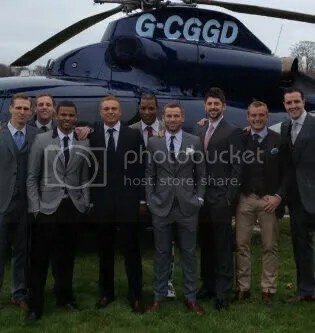 And while I was writing this post, Titus Bramble posted this picture of him and some of the other players at Cheltenham, so I’m sharing my love of Phil Bardsley, who is fourth from the right, almost centre of the picture.